School days are dwindling, and exam time is fast approaching! Are your students or children stressed about this time of year? 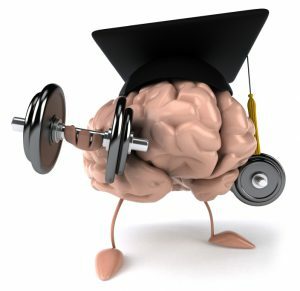 Research shows a correlation between regular physical activity and improved mental health and academic performance. Physical activity improves emotions and mood, quality of life, self-esteem and cognitive functioning. It also reduces anxiety, depression and stress. When we are physically active the cells in our body get stronger in addition to helping our body systems operate more efficiently. This helps with learning, memory and understanding and is also a healthy way to release stress. Physical activity can help sleep better, reduce feelings of fatigue, and increase energy which can all help when during exam time or dealing with the day to day stress of being a student. Chances are you have heard of the common saying “burning off some steam”, referring to dealing with life’s stressors. Why not “burn off some steam” by doing something good for you and fun at the same time?! Children (5-11 years) and youth (12-17 years) should get a minimum of 60 minutes of moderate to vigorous intensity physical activity daily. Whether your child/student chooses to participate in physical activity in a group or on their own, indoors or out-they are likely to benefit physically, socially, mentally and emotionally. Encourage your children or students to beat the stresses of exam time by getting out and being active.